The next generation of Brain2 Flybarless systems is here! Featuring 6 different hardware versions optimized for different applications, and robust enough to work in any setup from 180 to 900 size models. 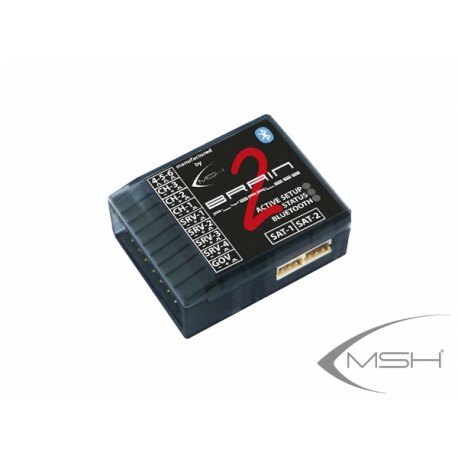 Additionally Brain2 still utilizes proven flight performance that was on Brain1, including Nitro and Electric Governor, and vast support for various model types. Additionally configurability on Brain2 is identical to Brain1 in that you can use PC Application, iPhone, or Android devices. The Brain2 rescue feature saves the model from any orientation, stabilizing it into a hover and adding pitch to avoid impact with the ground. This is an amazing tool for beginners or those working on new maneuvers where there is a higher risk of loss of orientation and control. Troubleshooting mechanical problems has never been easier. Brain2 can play back your entire flight showing you vibrations as the model moves through maneuvers. trial and error searching and give you peace of mind that the model is in good health. to hold several flights of information so after a flying session, you can always download the logs for viewing later, or for sharing with other users. Ditch your laptop and use the iPhone or Android application to configure your Brain2 flybarless system. Have instant easy access to the entire system at the field or on the bench to quickly change parameters. 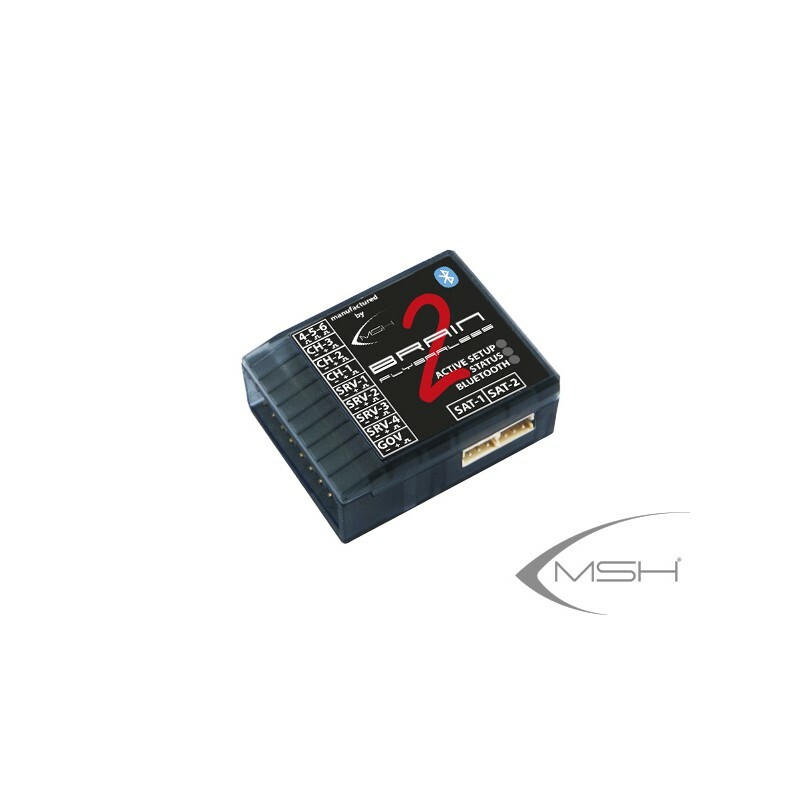 MSH Bluetooth module is required for Brain2 systems that do not have integrated Bluetooth.